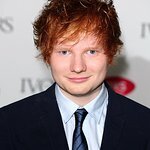 Earlier this month, singer-songwriter Ed Sheeran was awarded an MBE by The Prince of Wales for his musical career and his charity work. The award winning celebrity, whose latest album Divide spent more than 15 weeks at the top of the charts, received the honour during a Buckingham Palace investiture ceremony. 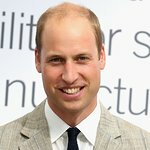 Ed Sheeran has worked with a range of charities including East Anglia's Children's Hospices, an organisation he supports as an Ambassador and has The Duchess of Cambridge as its Royal Patron. Also recognised during the Investiture ceremony was comedian Tony Hawks who was awarded an MBE for his charity work in Moldova where he has opened a children’s centre to help youngsters with chronic conditions.